Electric show: Priyanka Mazumdar from Guwahati, who beat K-pop contestants from more than 60 countries. Stella lives with her mother and three siblings in a modest, rented, south Delhi flat. Her parents are divorced and her elder sister is the sole breadwinner in the family, teaching English in a private school. Stella, who needs to find a full-time job soon, has been trying her luck at the India edition of Changwon K-Pop World Festival for the last three years. The festival is her only possible gateway to South Korea, where young attractive Koreans sing and dance with flawlessly synchronised movements, and train for years to become international pop stars, developing legions of rabid fans worldwide. The Korean Wave or Hallyu has found a solid market in the US and Asian countries like Japan, China, Taiwan, Vietnam, Philippines and Thailand since the 1990s. And, India is no longer a blip on the K-pop radar. While the northeast is generally considered the epicentre of the K-wave in India, today Delhi-NCR has the highest number of K-pop fans, with sizeable chunks in Chennai, Bengaluru and Mumbai. As many as 532 teams comprising 1,216 participants went through hectic regional rounds of competition in Delhi, Mumbai, Kolkata, Chennai, Patna, Bengaluru, Odisha, Hyderabad, Mizoram and Manipur since April this year to qualify in the Changwon K-Pop World Festival India Grand Finale in Delhi on July 9. Organised by the Korean Cultural Centre since 2012, the grand finale—attended by Snuper, an emerging South Korean boy band and Kim Jung-sook, the first lady of the Republic of Korea—saw 22 teams face off against each other. The excitement and energy of Indian K-pop fans was not very different from the manic-obsessiveness displayed by emotionally high-strung fans we have heard about in K-pop podcasts, documentaries and academic studies. Teenagers outside the perimeter of the auditorium complex were screaming, crying and fainting to get inside. Some managed to jump over fences. Stella, who was representing Delhi, sung ‘Gashina’ (heroine) by Sunmi, a soloist. “It is a break-up song. A pretty girl in the song wants to know why her boyfriend broke up with her,” says Stella. The winners of the grand finale, held in over 60 countries, undergo more auditions to qualify for the final round in Changwon, South Korea. Stella is optimistic that she will make it there one day. Unlike real K-pop stars who lose their shelf-life once they hit early twenties, the world’s biggest K-pop cover competition has no age limit. “Becoming an actual K-pop idol is going to remain a dream for me,” says Stella. “But, I want to compete in the Changwon competition until I turn 30. I know my mother will not be happy to know this.” Though Stella got the third prize in 2016, this year, she came away empty-handed. 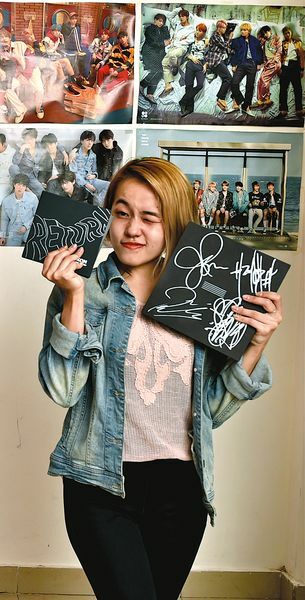 Her family back in Delhi is engaged in selling official K-pop albums and merchandise by taking orders via Instagram. Love Yourself:Tear, the third studio album by the enormously popular boy band BTS, is the most sought-after amongst her clients. But, Stella’s favourite Korean boy band is BigBang. She has posters, CDs, photobooks and calendars of the group strewn and stowed all over the house. In fact, every corner of her Delhi house is plastered with K-pop posters, from where slick, well-groomed Korean pop stars stare back at you. Stella is just one among countless K-pop addicts who have grown up on a diet of Korean dramas, comedy concerts and variety shows. In Manipur and Nagaland, local cable networks have been broadcasting South Korean channels like KBS World and Arirang from the early 2000s. It is from here that they have learnt to pronounce Korean words, speak broken sentences or even sing songs. Few understand the language, but they like what they see and hear, sometimes even without subtitles. PSY’s ‘Gangnam Style’, the first YouTube video to reach one billion views, may have been the single biggest contributor to world awareness about K-pop, but Hallyu converts in India have existed much before 2012. They now want the big K-pop acts to stop bypassing India, and want big Korean entertainment companies to hold auditions here. And, they do not want to just keep emulating their idols, but also be one of them. Mizoram-based Juchy, 21, won the first prize in the vocal category at the grand finale in Delhi this year. By virtue of being the first runner-up in the grand finale in 2017, she won plane tickets to South Korea as a visitor. She stayed back for two months and frantically auditioned. “I kind of had some interactions,” she says. “There were problems with the visa and I had to come back to India. But they asked me to return. It is a small company and they seemed interested.” This year, if she gets selected for the final round, she wants to resume her audition campaign in Korea. 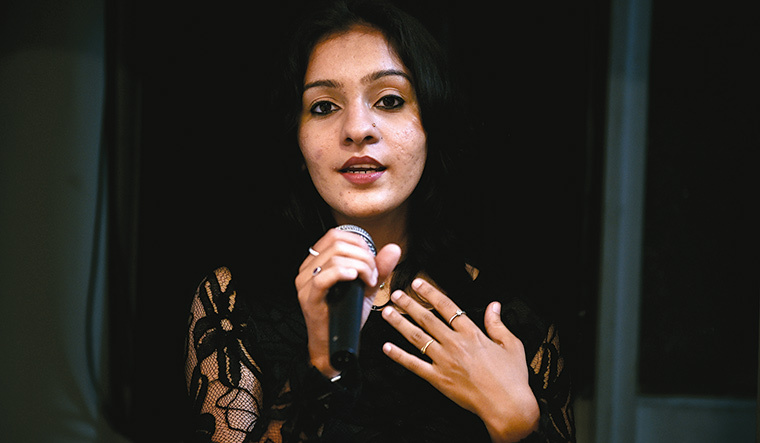 Guwahati-based Priyanka Mazumdar, 21, the first Indian to qualify for the finals in South Korea in 2016, beat contestants from 65 countries to win the excellent vocal award. But, she is not very optimistic. “K-pop industry is really big,” she says. “There are so many K-pop idols. People from around the world descend at Changwon. Sometimes they (companies) do freak-cast if they like someone, but it rarely happens that they will choose someone from the contest, or people who do not look Korean or speak the language fluently.” Priyanka’s Korean peers were surprised to know India knows K-pop. Wilson Oinam, 22, from Manipur, who emceed at the grand finale, has been singing Korean songs and learning Korean at the Korean Cultural Centre for five years now. “With my language skills, I hope to at least get a job in the Korean music industry. In fact, I am pretty sure in a few years I will be in Korea,” says Wilson. The big three Korean entertainment companies, YG, SM and JYP, are known to hold auditions outside Korea to scout talent. They have groomed pop stars in the US, China and Thailand. Do they see a market in India? “Although they have recognised the presence and potential of the K-pop market in India, it is expected to take more time for the big companies to appear in India,” says Kim Kum-pyoung, director of Korean Cultural Centre in India. “However, we are hopeful of seeing small and medium companies come to India, and are willing to support them.” But, he does not see companies holding auditions in India, as they do in other Southeast Asian countries, anytime soon.